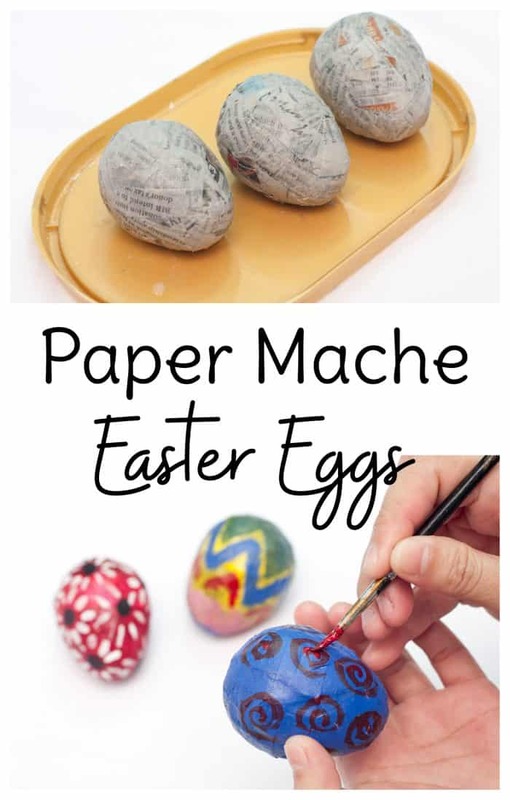 For 3 paper mache Easter eggs, pour about 1/4 cup of white glue into a bowl. 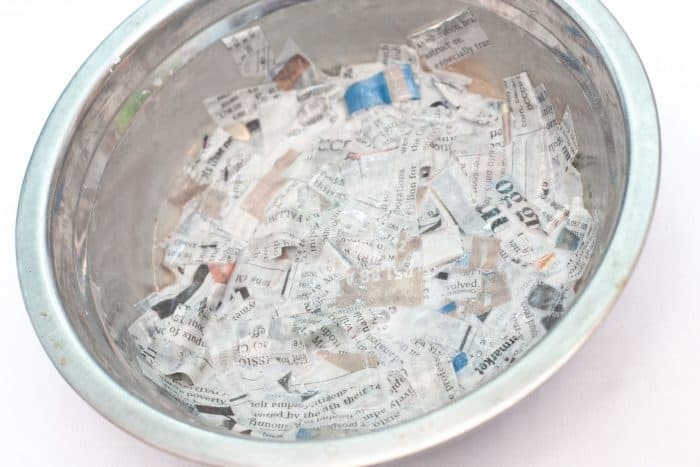 Completely submerge the newspaper strips in the glue/water mixture until it’s completely soaked up. The newspaper strips should be quite soggy. 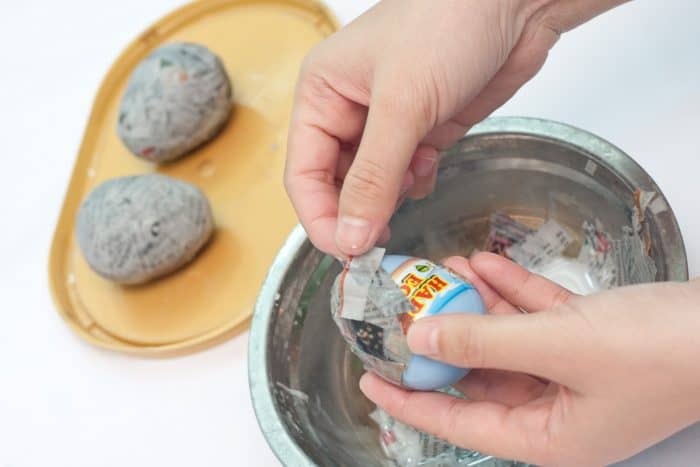 Completely cover the plastic eggs with the soggy newspaper strips. 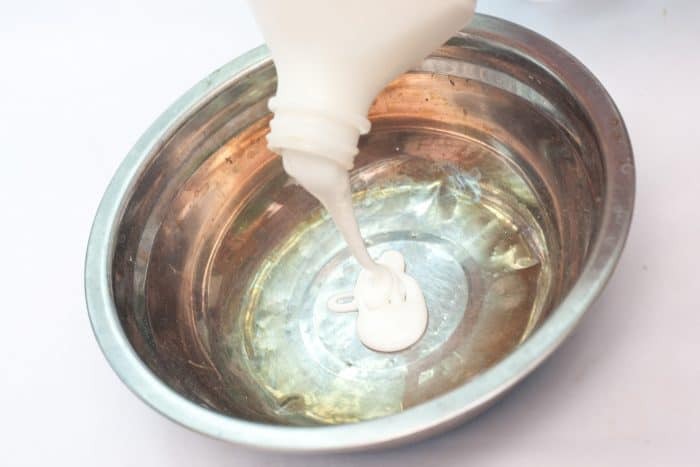 Continue layering until there is no plastic visible and the egg is layered evenly all over. Let the eggs dry for a day or two. They will be as hard as a rock once the drying process is complete. 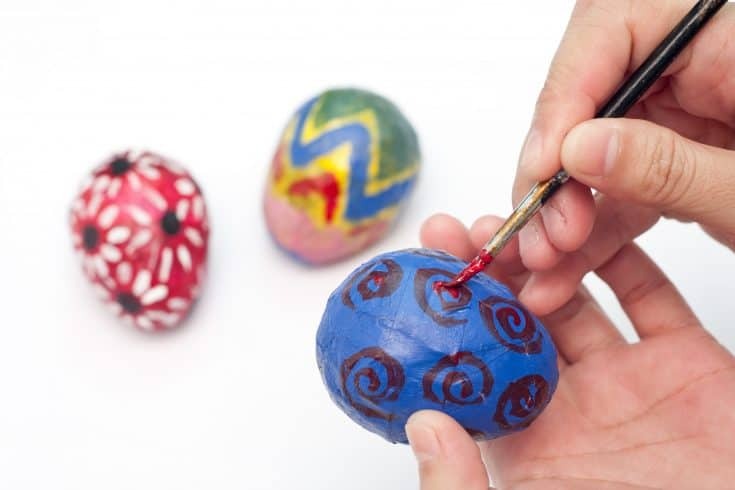 Using a utility knife, carefully cut the mid section of each egg and remove the egg mache from the plastic Easter eggs. 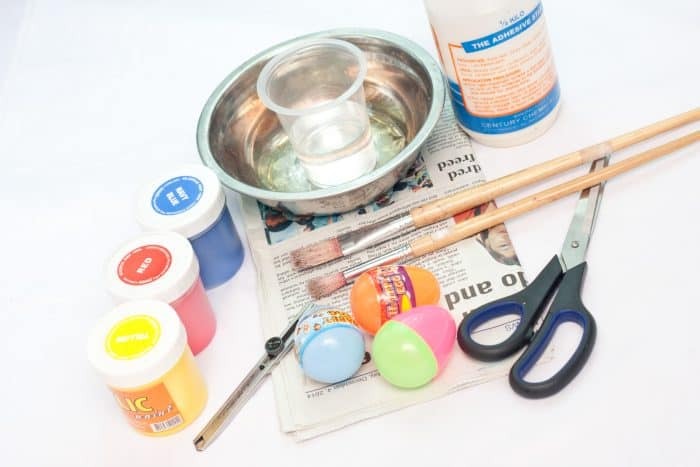 Paint the eggs with your choice of acrylic paints (optional.) A double coat with dry time in between will work best unless you’re going for a pastel look with the newsprint showing through somewhat. 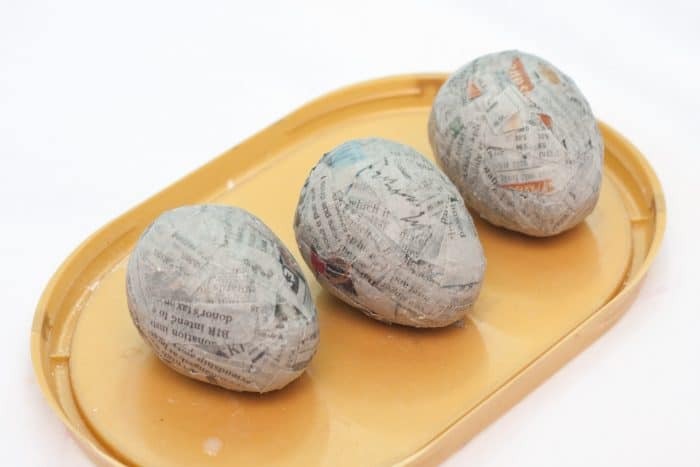 Soak the newspaper strips in more glue/water mixture and paper mache the egg seam. This will add another day to your project completion time but if you’re not in a hurry, it will look best. This Easter decorations DIY is a fun Easter craft for kids and adults to make together. 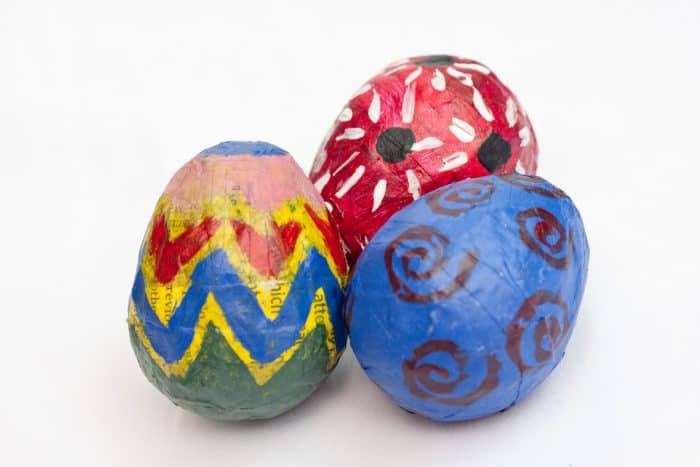 Leave your paper mache Easter eggs unpainted for a more understated look, or paint them colorfully with your kids. 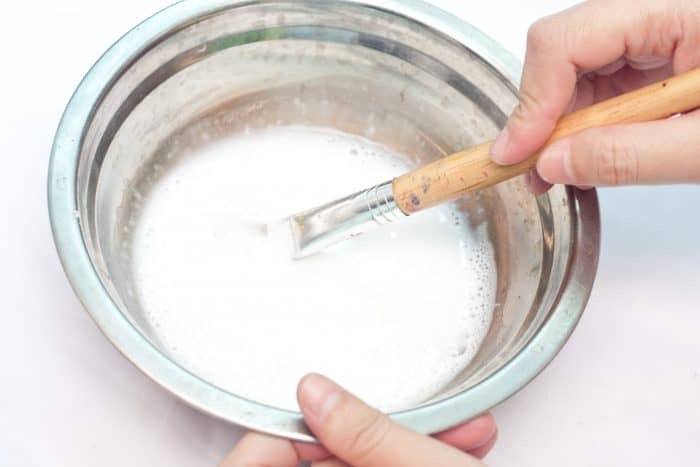 Pour about 1/4 cup of white glue into a bowl. 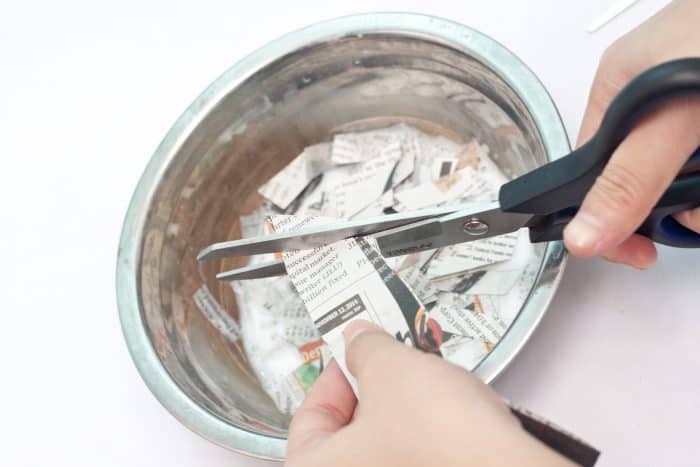 Completely submerge the newspaper strips in the glue/water mixture until it's completely soaked up. The newspaper strips should be quite soggy. 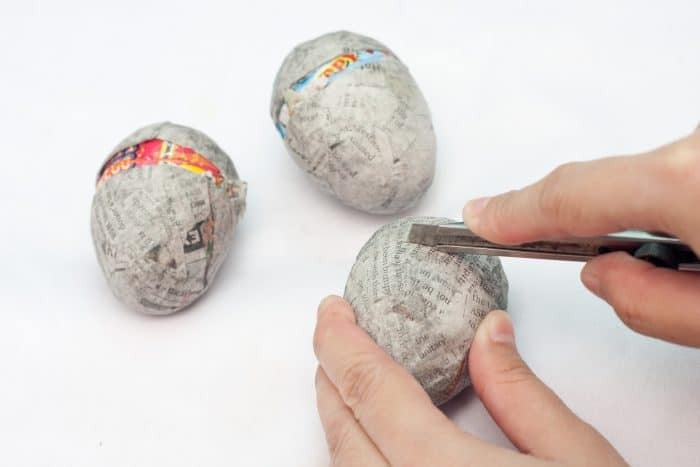 Cut a long strip of newspaper and glue to the seam to seal the paper mache Easter Easter eggs together. Smooth out the sides of the new strip, and let it dry for 5 to 6 hours. 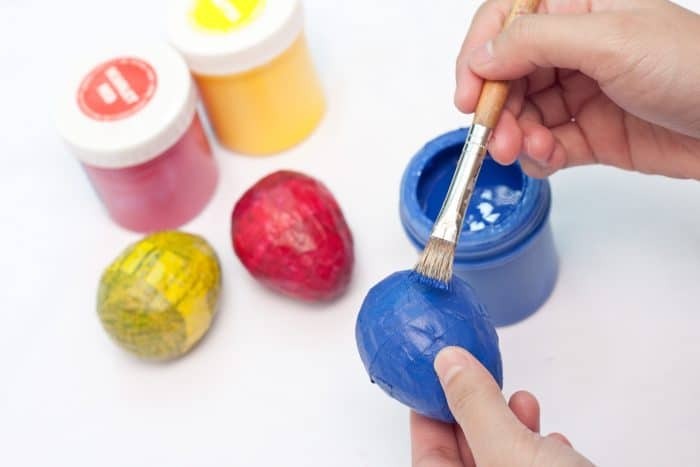 Paint the eggs with your choice of acrylic paints. A double coat with dry time in between will work best unless you're going for a pastel look with the newsprint showing through somewhat. 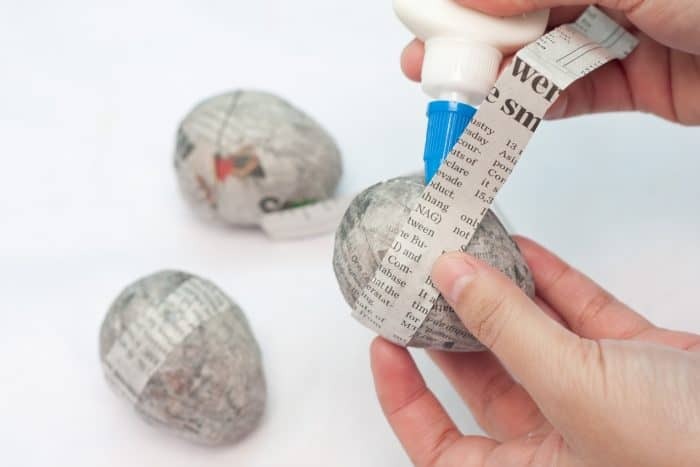 Soak the newspaper strips in more glue/water mixture and paper mache the egg seam. This will add another day to your project completion time but if you're not in a hurry, it will look best. If you love paper crafting and cheap DIYs, check out this Dollar Tree decor piece made with a $1 novel. 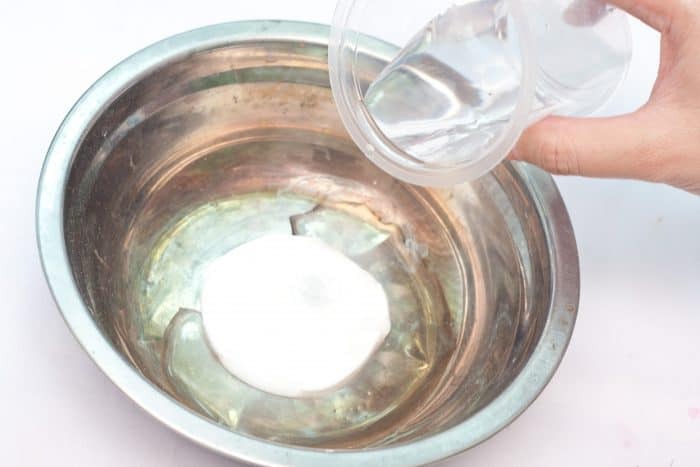 You might also like these DIY string Easter eggs too!